RRP: £25.00 Bestselling author and well-known historian of the Great War Richard Van Emden will host a one-day writing workshop at Oxford Brookes University: ‘The Quick and the Dead’ with Richard van Emden, perfect for anyone interested in history and non-fiction writing. The workshop will take place on Saturday, 22 September, book your place before 19 September via the Oxford Brookes website. Richard’s new book, 1918 – The Decisive Year in Soldiers’ own Words and Photographs will be published this month. 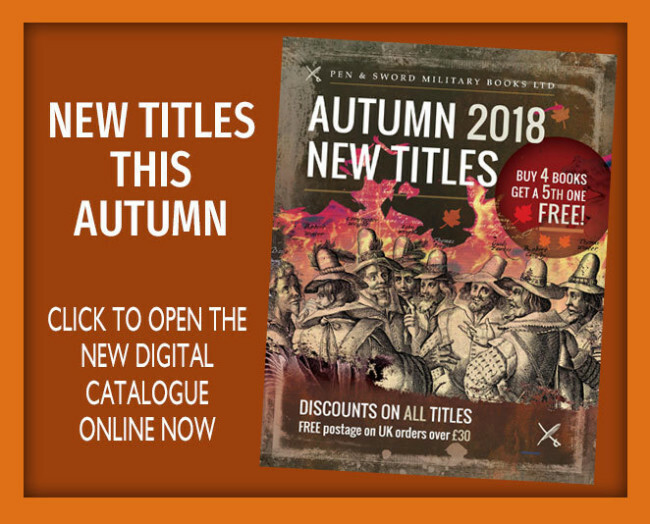 Following on from the success of his previous books, The Somme and The Road to Passchendaele, this new volume includes an extraordinary collection of soldiers’ photographs taken on their illegally-held cameras. Utilising an unparalleled collection of memoirs, diaries and letters written by the men who fought, Richard tells the riveting story of 1918, when decisive victory was grasped from near catastrophe. RRP: £19.99 Author Catherine Curzon will give a talk on Monday, 17 September as part of Bath’s annual Jane Austen Festival: Mr Wickham and Mrs Clarke. About the talk: Including the militia’s place in Austen’s novels, this lively, entertaining talk lifts the lid on one of the most outrageous military episodes of the 19th century. The scandalous Mary Anne Clarke, mistress of the Duke of York, sold commissions at mate’s rates to her favourite gentlemen. Mary Anne ruined a reputation, revealed a shocking feud between brothers and left the royal family reeling. Catherine’s new book, The Scandal of George III’s Court, will be published in October 2018. From Windsor to Weymouth, the shadow of scandal was never too far from the walls of the House of Hanover. Did a fearsome duke really commit murder or a royal mistress sell commissions to the highest bidders, and what was the truth behind George III’s supposed secret marriage to a pretty Quaker?